The harvest of the top-quality kiwi for the Sweeki brand has started in Chile. Origine Group plans to sell 2,000 tons of Italian kiwifruit, and intends to sell the same amount from Chile as well. In Chile, the harvest of green kiwis for Origine Group’s “Sweeki” brand has begun. This season, the two Chilean members of Origine Group, David del Curto and Copefrut, will increase the quantity of Hayward kiwi under the brand “Sweeki Green”, used to market top-quality Origine Group kiwis. Only kiwifruit of a superior quality, excellent appearance, high sugar content, and high dry matter can become a Sweeki kiwi. In the orchards of the two Chilean companies, the picking started with high hopes, in terms of both quantity and quality. 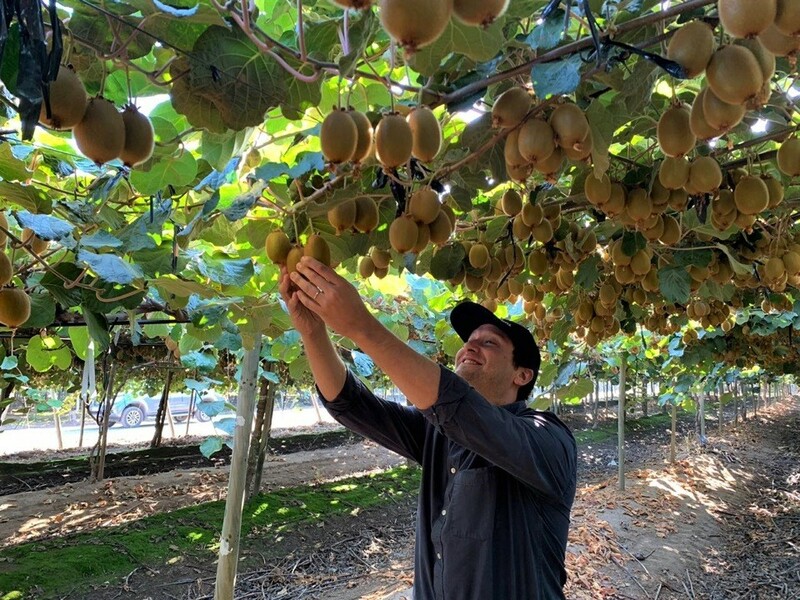 Chilean-grown Sweeki kiwi will be mostly directed to the Asian market, where they will join the late Italian kiwi, of which shipments are drawing to a close. Alessandro Zampagna, Managing Director of Origine Group. The very first shipments of Sweeki from Chile are expected shortly in the coming weeks. The consortium Origine Group was founded in 2015 by several companies who are leaders in international markets in the production and trading of fresh fruit and vegetables. The consortium – established by Afe, Apofruit, Fruit C2, Gran Frutta Zani, Kiwi Uno, Op Kiwi Sole, Pempa-Corer, Salvi-Unacoa, Spreafico, Minguzzi and the Chilean groups David Del Curto and Copefrut – represents companies already firmly present in domestic and international markets, with a total turnover of over 1,200 million dollars. They have joined forces to provide top-quality products and are working together on innovative new varieties to explore new and emerging markets. For more information, visit www.sweeki.co and www.origine-group.com.